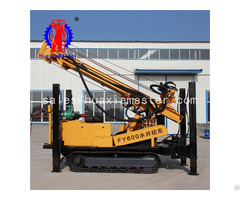 KQZ-100D pneumatic-electric DTH drilling rig is a new type of high efficient rock drilling equipment, designed for water conservancy projects and building materials sites. 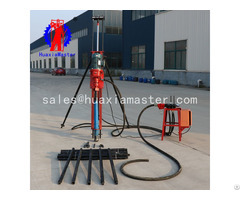 It is widely used for drilling in all kinds of rock stratum and drill hole. For example, water conservancy and construction slope treatment. 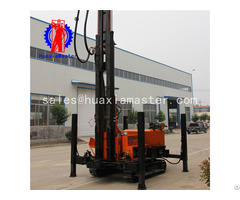 KQZ-100D pneumatic-electric DTH drilling rig is an impact rotary drilling rig. Its internal structure is different from the general drilling machine. Its gas distribution and piston reciprocating mechanism are independent with each other. 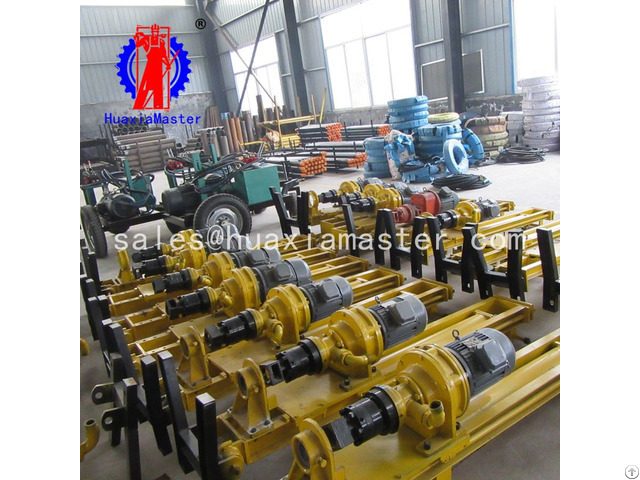 The front end is directly connected to the bit, and the back end is connected to the drill pipe. When it is divided into the hole, the impactor will rotate in hole. the piston (hammer body) in the impactor is made reciprocating to strike the drill tail through the valve, making the drill produce a kind of gyration force to the rock bottom. Main engine weight kg 224 Shandong Master Machinery Group Co., Ltd.